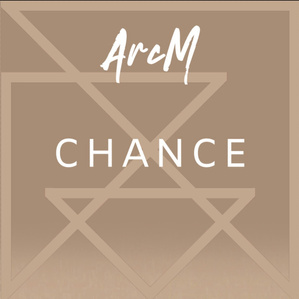 ArcM ‘Chance’ is the latest single release date Friday 7th December 2018 – Available on all online formats through Empire/MGM. You may have never heard of ArcM but in 3 minutes after listening to one of his current three singles, you’ll want to know more. He is an amazing talent with a rare depth and skill as a songwriter, singer & producer. ArcM is the artist, the whole creative being. The music should and does speak for itself. World class songs not limited to one world or time. ArcM skillfully fashions simple progressions and dresses his ideas in synthesis, harmony and driving beats with an addictive catchiness. He is also adept in matching minimalistic harmonies and backing to more emotional lyrics and subjects. ‘Chance’ is a heartfelt cry for one more chance within a relationship that is probably already over but where both partners are loathe to let go or walk away from each other, a time where one more chance could keep the heart alive and give hope where otherwise it is truly lost. The song comes with a beautiful animation video by Ryan Woodward. ‘Falling Away’ From You Now serves up a heavy dose of alternative electro pop that is purposely edgy and raw, yet masterfully produced all at the same time. ‘She Ain’t You’ has an incredibly strong hook. A subject for so many songs but never said so clearly before. This song will ring true to many in such a simple and direct way. ArcM has found his freedom to write and produce unhindered. It’s his journey but everyone is invited. Please checkout all 3 songs and 3 videos. Please support each release from ArcM through Empire Records & Publishing and MGM Distribution Australia.